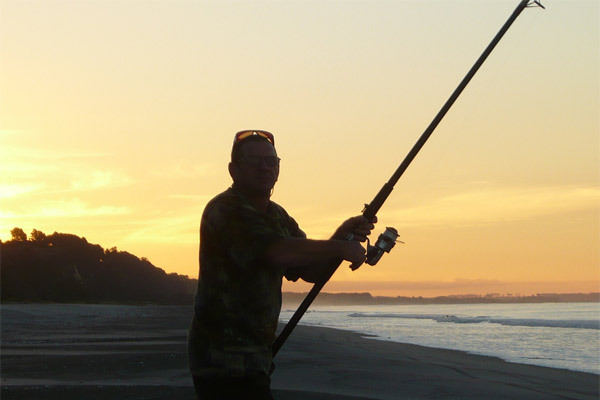 Choose from our range of Whakatane Fishing Charters including inshore saltwater, coastal saltwater or freshwater fishing. 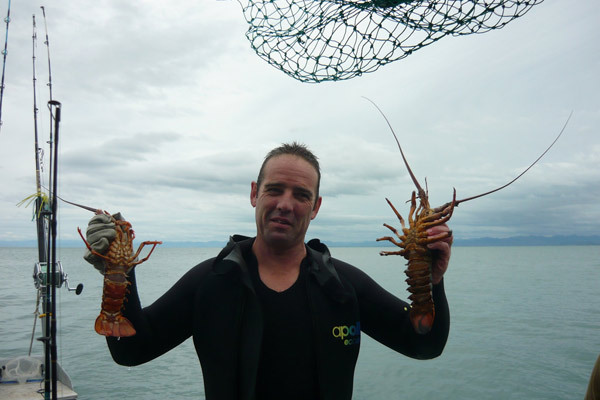 If you are looking for any type of fishing then Ezyfishing Fishing Charters Whakatane is for you. 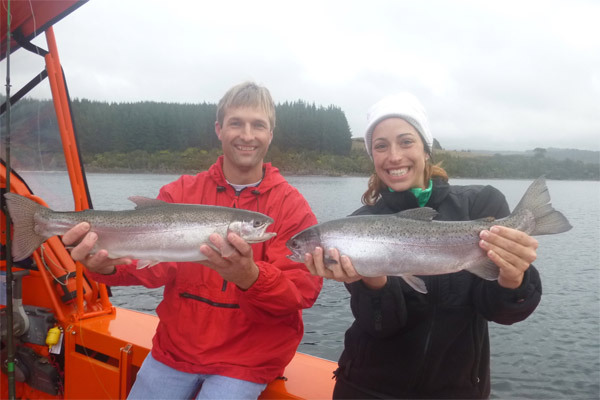 Lindsay is a friendly and professional guide who offers freshwater river and lake fishing or saltwater coastal and inshore fishing. If diving or freediving is what you are after then then Lindsay can charter you a trip to nearby dive spots. 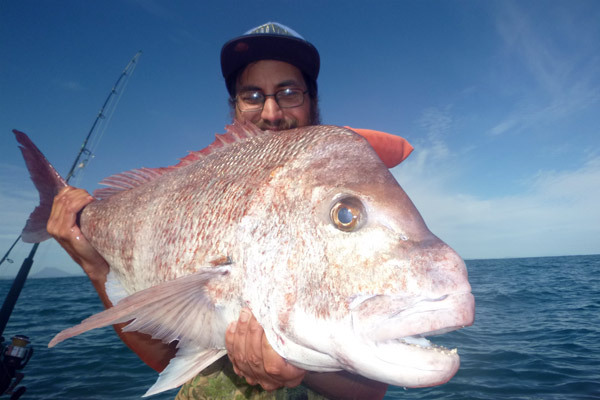 Whatever you are after Ezyfishing Charters can help you plan your day out. With all the gear supplied it couldn't be easier, get in touch today! Personalised service. 1 – 2 clients per guide. Additional guides are available for larger parties. Dry fly or nymph fishing. Casting tuition available. All gear (rods/reels, waders, fly's/nymph's, tackle, fishing license etc.) supplied. Suitable clothing recommended on application. Hotel or Airport pick up and drop off can be arranged. 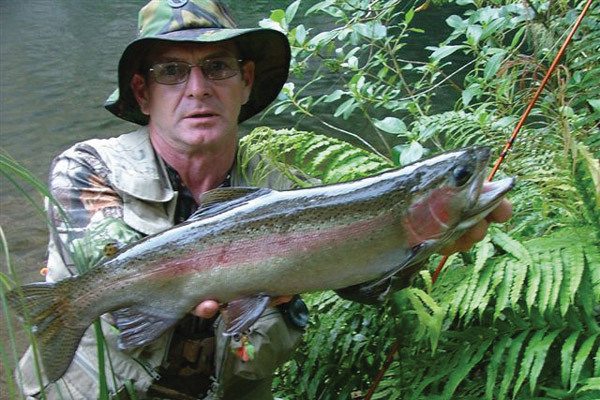 7 Different fishing methods available to give you the best possible chance of landing big trout. Down-rigging, harling, jigging, spinning, fly-fishing wire-line and soft-bait. Scenic lake cruises available. His Nibs II is surveyed to carry 1-6 passengers. Suitable clothing is recommended on application. LAKE FISHING RATE: Half or Full day. Surf-casting, kite/kontiki-fishing, land-based game fishing, rock-fishing, night-fishing and kai moana (seafood) gathering. Fishing up to 6 rods. The Kontiki fishes up to 25 hooks out to 1.5 km off shore. We can fish day or night. Light Tackle, Salt Water Fly, Soft Bait, and Game Fishing. Half day trip minimum 4 hours. Offering countless opportunities to check out typical New Zealand marine life. Abundant fish life Blue Mao Mao, Leather Jackets, Kingfish, Kahawai and Snapper. You are welcome to get a group together and bring your own gear including spear guns. Novice drivers can have guided tours with all gear supplied. Qualified marine biologist and dive instructor available. These trips are a must and advanced bookings are essential. Cost starts with the 4 hour boat hire.$400.00.1-5 people. Allowing for dive/guide and skipper.